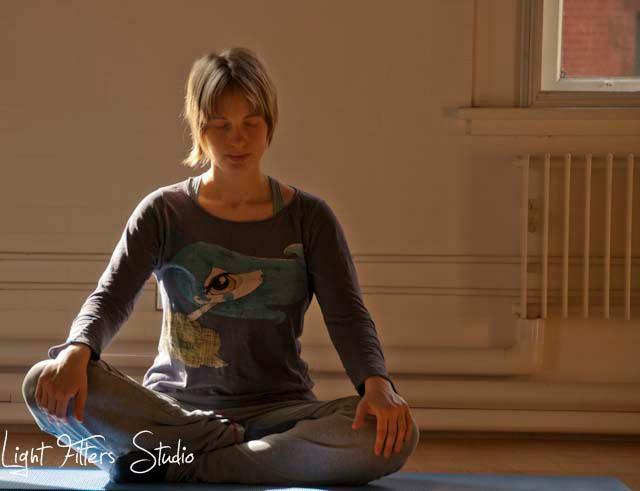 Effective exercise that leads to heightened awareness within the body and breath. 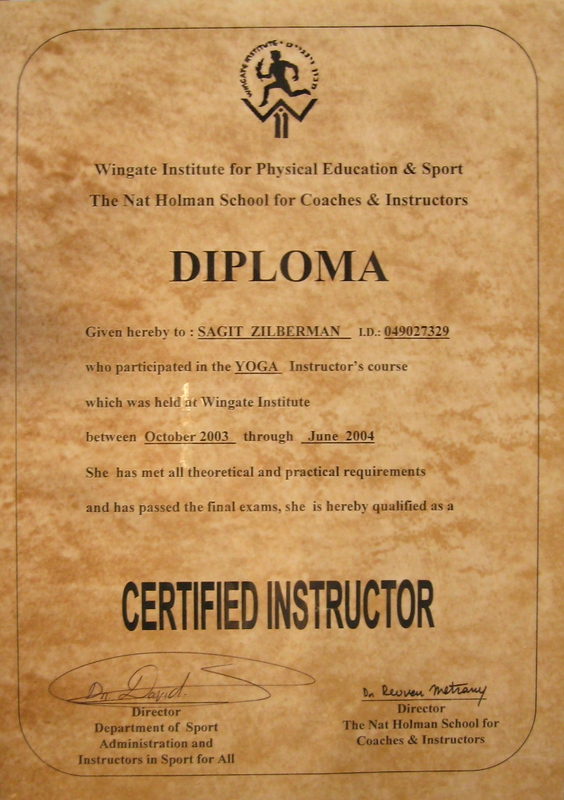 It is a tool for enlightenment and alignment. 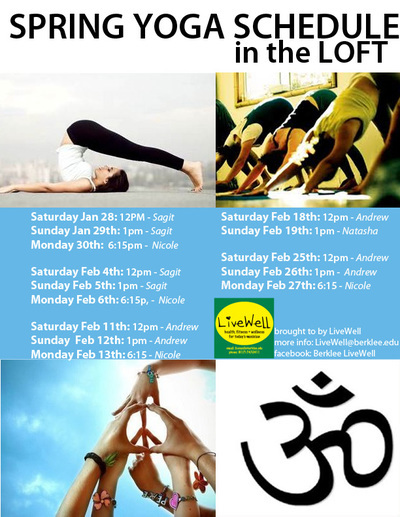 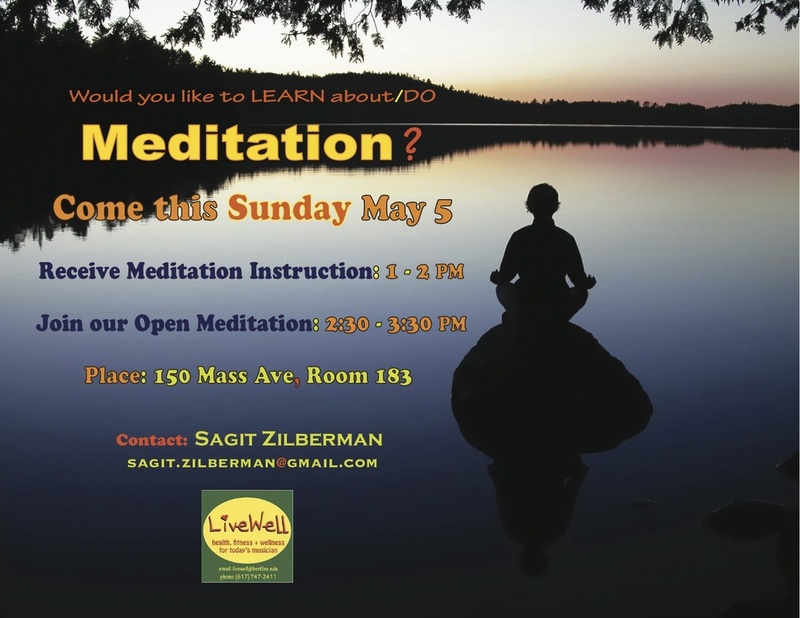 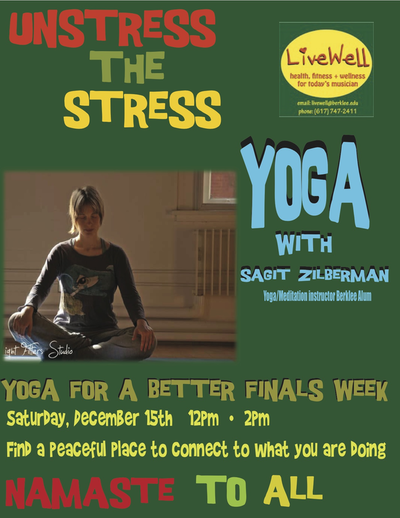 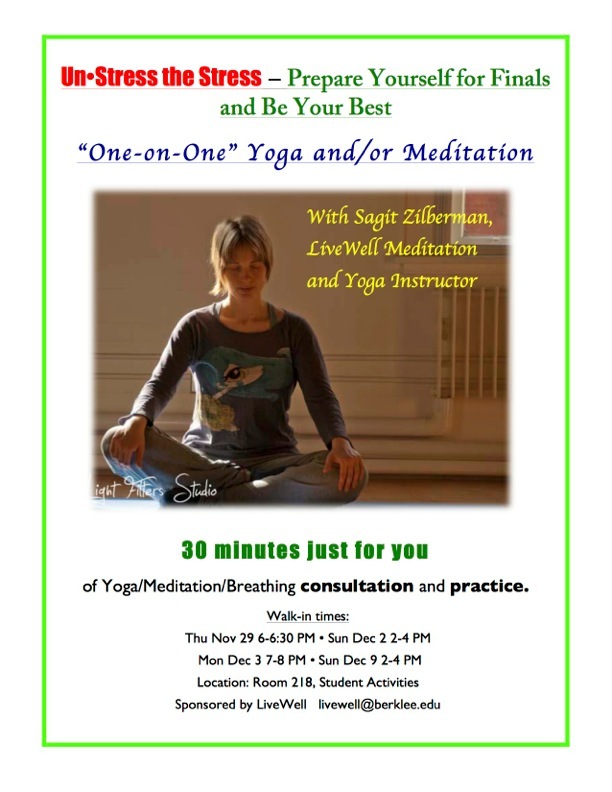 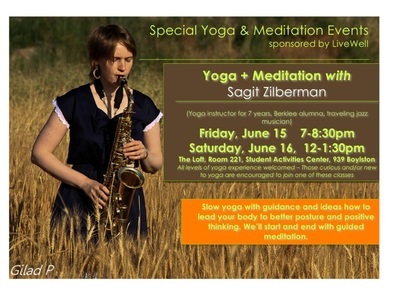 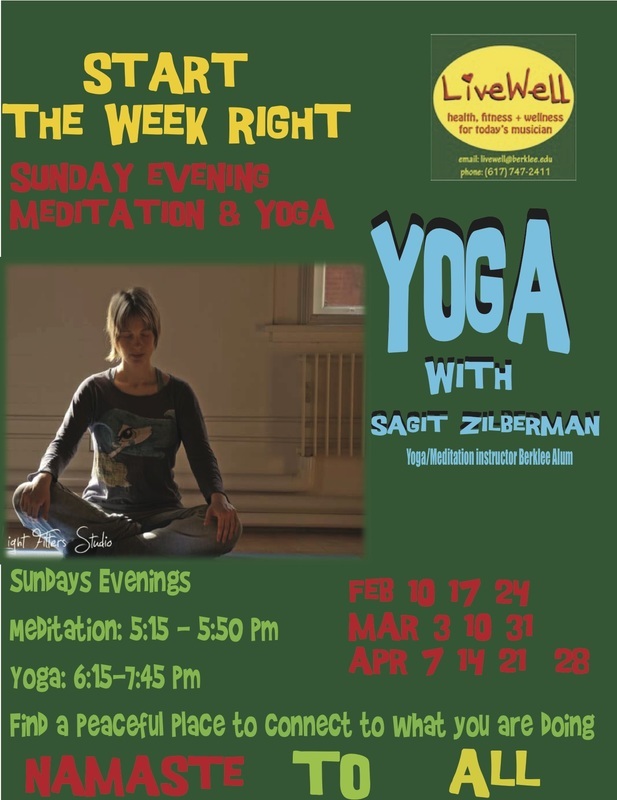 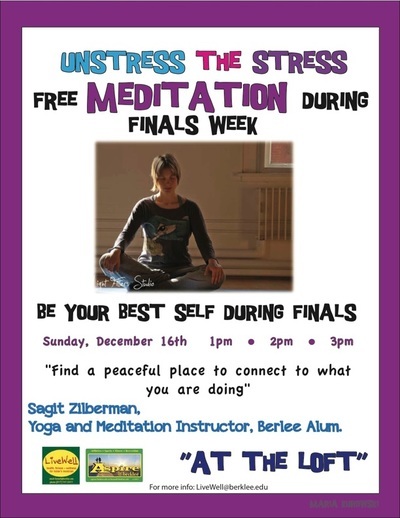 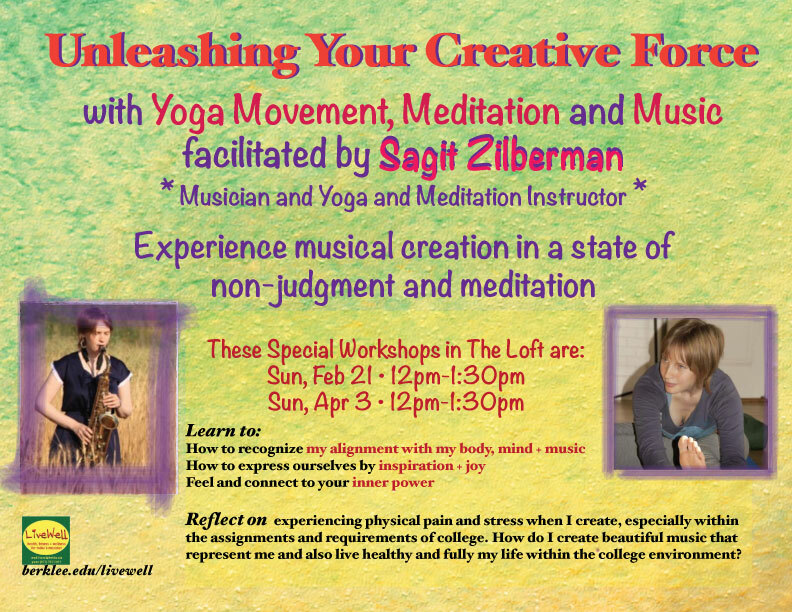 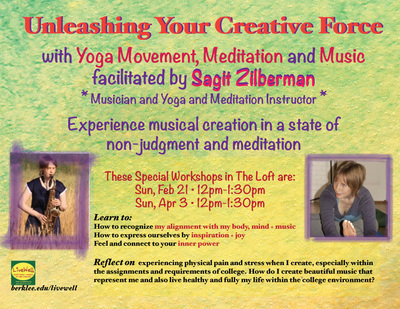 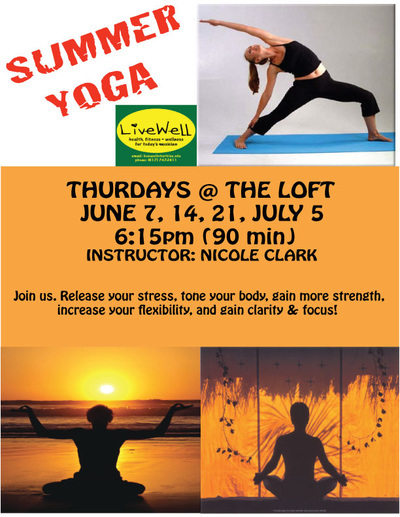 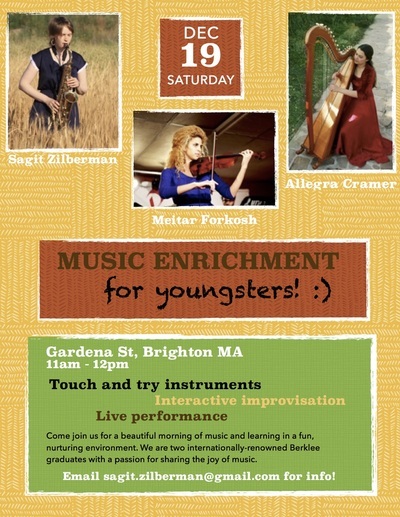 ​"Yoga for musicians with Sagit was one of the best experiences I had at Berklee. 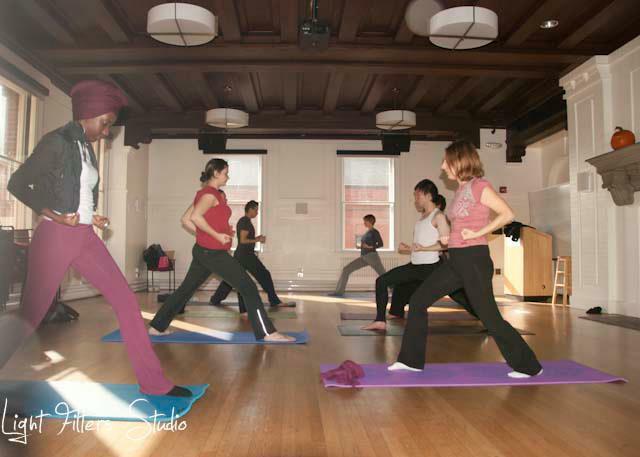 Although the class is very demanding, she would make sure that everybody was enjoying, and that no one was left out. She would combine music with meditation and yoga, which was truly and original and fantastic way of doing it" - Martin Mikkelsen, Berklee student.